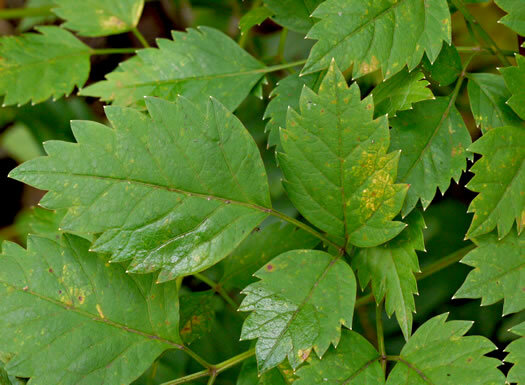 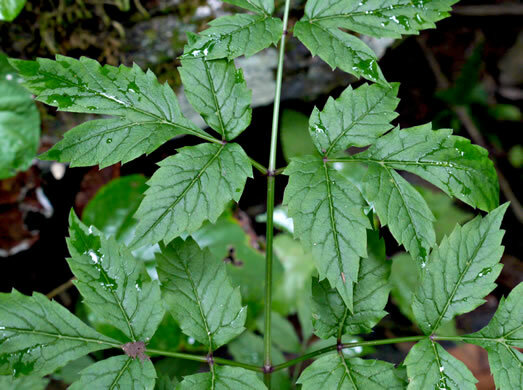 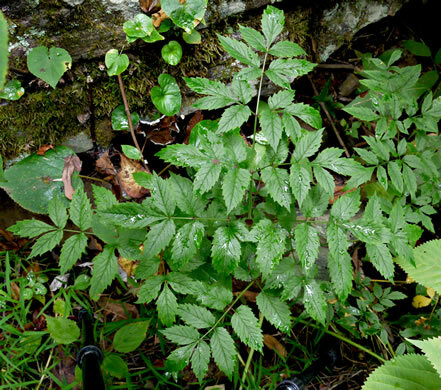 Your search found 8 image(s) of leaves of American Lovage, Hairy Angelica and Water Hemlock. 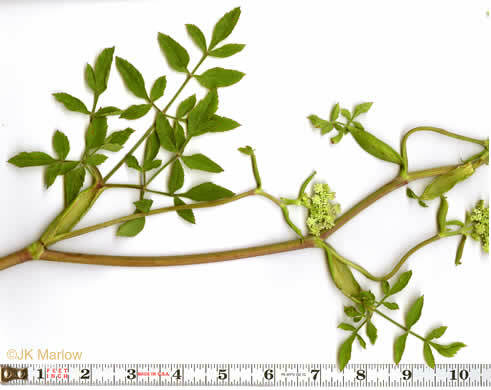 The straightish and toothless basal portion of each leaflet is distinctive, per Weakley's Flora. 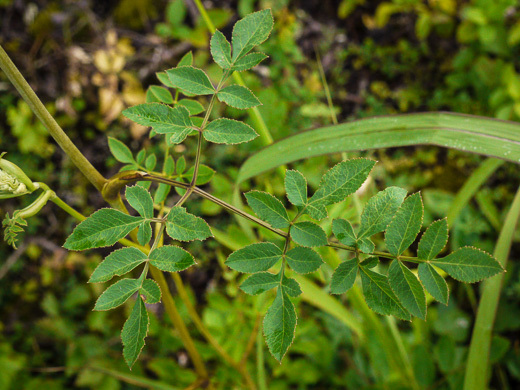 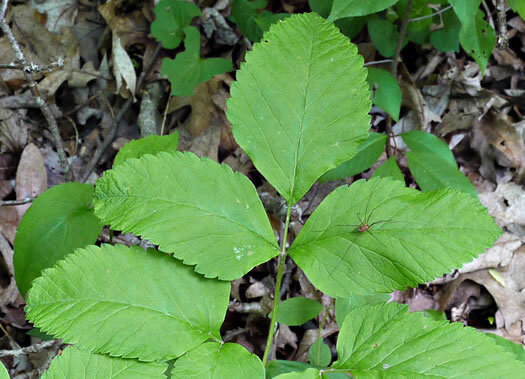 Lateral veins of each leaflet terminate at the points of the teeth, per Wildflowers of Tennessee, the Ohio Valley, and the Southern Appalachians. 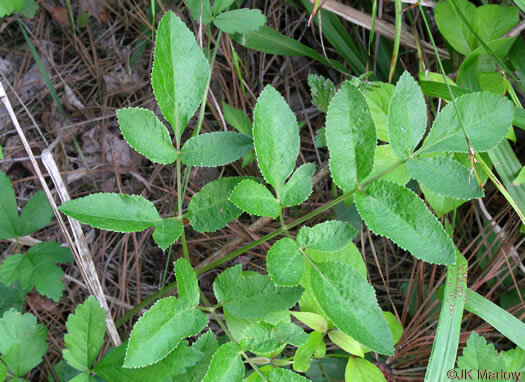 Stem leaves dark green, thick, and compound. 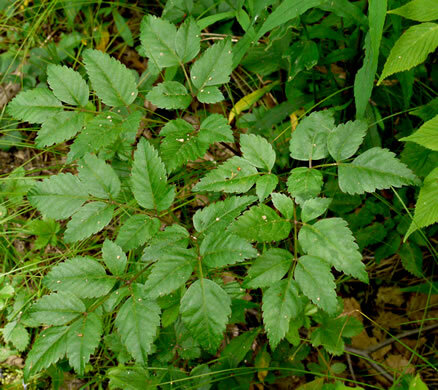 Leaflet margins toothed, per Atlantic Coastal Plain Wildflowers.